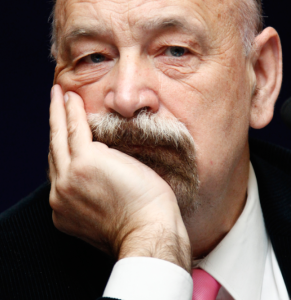 5 May 2016 – Prominent Russian human rights defenders have spoken out against Russian filmmaker Andrei Nekrasov and NBC reporter Ken Dilanian for their anti-Magnitsky propaganda campaign in Europe and the US. 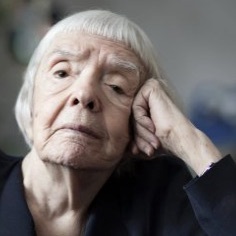 A veteran Russian human rights defender, Ludmila Alexeeva, is one of the leading voices in Russian civil society advocating for Western Magnitsky sanctions as a tool to address the impunity in Russia of those responsible for Magnitsky’s torture and murder in detention. Valery Borschev, another leading Russian human rights advocate and head of the Moscow Public Oversight Commission,an independent panel that investigated Magnitsky’s death since 2009, spoke out to quash the phony claims in Andrei Nekrasov’s film. “The film [by filmmaker Nerkasov] tries to contradict everything that has been concluded by our Commission. …We looked at conditions of detention, torture, non-provision of medical care, violence which led to murder….I state firmly: the film does not reflect the true state of affairs in part concerning the detention of Magnitsky,” said Valery Borschev. Russian human rights activists castigated the false claims in Nekrasov’s film that Magnitsky was not beaten in custody, did not testify against corrupt police officers, and that Magnitsky himself committed the crime he had uncovered. These claims are contradicted by evidence of Magnitsky’s beating from both the Russian government and the Magnitsky family, his investigation into the fraud and complaints filed three weeks before the US$230 million were stolen, official written records of his testimony, and conclusions reached by Russian and international bodies who conducted independent investigations. These false claims have previously been refuted on numerous occasions, but are now being rekindled by Russian filmmaker Andrei Nekrasov in his anti-Magnitsky film in Europe, and echoed by Ken Dilanian, NBC News off-air correspondent in the United States. In his written questions to the ‘Justice for Sergei Magnitsky’ campaign last week, reporter Ken Dilanian claimed that he and his team at NBC found “no evidence” of Sergei’s Magnitsky’s beating before he died, despite publicly available records, independent reports and photographs from Magnitsky’s autopsy. Dilanian also claimed he found “no evidence” of Magnitsky’s testimony against police before his arrest. This is despite Magnitsky naming in testimony before his arrest officers Kuznetsov and Karpov 14 times and 13 times respectively. According to the NBC News website, prior to suddenly taking on the Magnitsky story, Ken Dilanian had never reported on Russian affairs or human rights. Mr. Dilanian joined NBC News as off-air correspondent at the end of 2015. In his previous job with the Los Angeles Times, he was compromised for permitting his close relationships with sources to influence his reporting. In an open letter to Steve Burke, CEO of NBC Universal, published in the Russian newspaper ‘Novaya Gazeta’, Valery Borschev condemned the false claims, citing the investigation conducted by the Moscow Public Oversight Commission which he chaired immediately after the death of Sergei Magnitsky and as part of the working group of the Russian President’s Human Rights Council. “The investigation of documents, submitted by law enforcement bodies to the working group, led members of the Public Oversight Commission to the conviction that Sergei Magnitsky was subjected to violence before his death… There is a document, dated 16.11.2009, signed by deputy head of detention center Markin, and eye witnesses Borovkov and Larin, which said: “rubber baton was applied,” “handcuffs were applied,” – ie he was beaten while handcuffed by rubber baton,” said ValeryBorschevinhislettertoCEOofNBCUniversal Steve Burke. The Russian state-sponsored anti-Magnitsky propaganda began after Russian President Vladimir Putin adopted a foreign policy decree in May 2011, instructing Russian government bodies to fight US sanctions. It then escalated after a December 2012 press conference by Vladimir Putin, in which he was asked about Sergei Magnitsky numerous times, and where he denied that Magnitsky had died from torture and promised to “delve deeper” into the case. The new escalation of propaganda follows a press conference earlier this year, in which Russian Foreign Affairs Minister Sergei Lavrov implied new revelations on the Magnitsky case to fight the US Magnitsky Act. On 27 April 2016, Andrei Nekrasov planned an anti-Magnitsky event at the European parliament in Brussels to show his new defamatory film with help from his girlfriend, Finnish MEP Heidi Hautala. It is understood that Ken Dilanian planned his story with NBC News for the same day, 27 April 2016. On 27 April 2016, the widow and mother of Sergei Magnitsky wrote to members of the European parliament, stating their categorical protest against any demonstration of the defamatory and false film about Sergei Magnitsky anywhere, and especially in the European Parliament. “Through this letter, Sergei’s family expresses its highly negative reaction to the movie, its protest against unconscionable attempts to blacken the name of Sergei Magnitsky. We are categorically against the public demonstration of the film by Andrei Nekrasov, against the distribution of the film in any way,” said the Magnitsky family. The film “premiere” at the European parliament was cancelled. ARTE, European culture network, who planned to air the anti-Magnitsky film on 3 May 2016, cancelled it as well. Prominent Russian human rights defenders who conducted an independent investigation of Magnitsky case, have spoken out against the new wave of anti-Magnitsky propaganda and its enablers. Apr 1, 2016 … by Ken Dilanian … the battlefield,” in the CIA’s euphemistic phrase for killing human targets with …. “And this is me going, `You’re right, I wasn’t.